Honestly. It’s got humor, heart, action, life lessons…and RDJ. 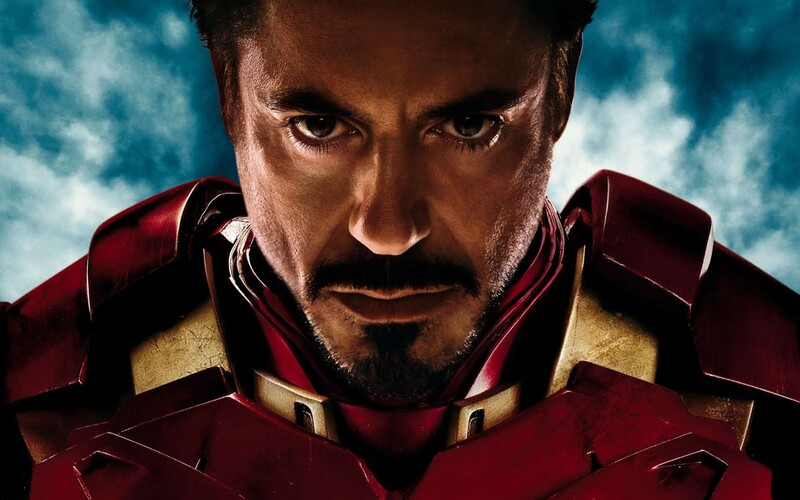 Robert Downey Jr IS Iron Man. Iron Man IS Robert Downey Jr. Inseparable. Fortified. Legendary. Justified. Downey is the essence of a modern-day hero. We all seemingly enter this world craving heroism, “flying” cape-clad from childhood. This star-struck peter-panistic hero-lust curbs at the same moment we are out of Peter’s reach. We somehow tie “growing up” to the realism of clipping those wings ourselves, and in that moment we cease to be infallible, heroic, bulletproof, eternal. I cry for the grown ups who have lost their sense of Neverlandish wonder, but the redemption and awakening stirs in the hearts of even the most grown up with the iron suit that makes an ordinary man with a brain heroic. That’s what movies like Iron Man 1-3 do for us. I must take a moment to ponder expectations. A respected colleague recently blasted Baz Luhrmann’s Gatsby film. I wanted to write my thoughtful rebuttal but realized the futile fruitlessness of fighting one opinion versus another. Inwardly, I resolved that I like it when people disagree with me (albeit only graciously expressed antagonism is truly appreciated). Movies are art. They are meant to create conversation. No critic holds the key or the corner on great films. Personal perspectives matter, making the industry diverse. Movies are personal, yes. You put down my favorites, I feel put down. But know this: like it or hate it, art should be shared and discussed. Heroes are echoes of our excellent, odd-beautiful selves. Learn from heroes like our Iron Man: we all have potential for greatness mixed with humility, for self-sacrifice, and for true love that conquers all. For only with great whimsy can we glimpse the infinite and soar once more. i was let down here. i thought the first 2 were much better. this one just felt awkward to me.